Built in hat, so no helmet is required. One size, as hat has velcro to make hat smaller or larger. 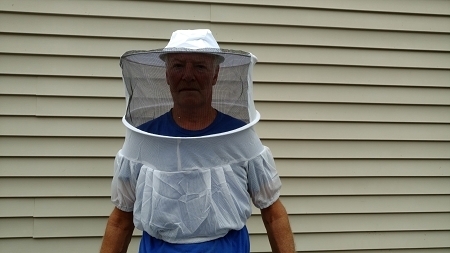 Veil has a mesh vest with elastic on arms and at bottom of vest to keep bees out.